Precious metals futures were divided again Thursday with gold and palladium modestly lower and silver and platinum slightly higher. 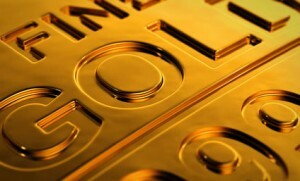 Gold marked a new settlement low for the year. Gold for June delivery fell $2.10, or nearly 0.2%, to settle at $1,289.40 an ounce on the Comex division of the New York Mercantile Exchange. The settlement is the lowest since Dec. 26 when the yellow metal ended at $1,287.50 an ounce. "The firm U.S. dollar and rising U.S. bond yields are continuing to exert pressure," MarketWatch quoted Carsten Fritsch, commodities analyst at Commerzbank. Gold futures traded from a low of $1,284 to a high of $1,294. They inched up 0.09%, on Wednesday, dropped 2.1% on Tuesday, and shed 0.2% on Monday. Silver for July delivery rose 11 cents, or 0.7%, to settle at $16.481 an ounce. Silver futures ranged from $16.33 to $16.51. They climbed 0.6% on Wednesday, tumbled 2.3% on Tuesday, and declined 0.5% on Monday. July platinum gained $2.30, or 0.3%, to $892.10 an ounce, trading between $883.60 and $895.50. Palladium for June delivery declined $5, or 0.5%, to $977.50 an ounce, ranging from $970 to $984.10. United States Mint bullion sales registered gains of 500 ounces in platinum coins. Below is a sales breakdown of U.S. Mint bullion products with columns listing the number of coins sold during varying periods.